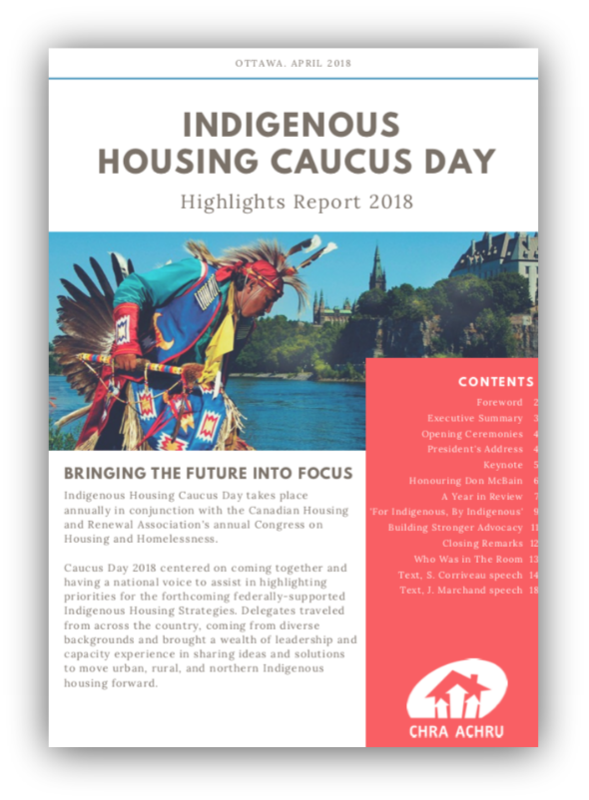 Indigenous Caucus Day Highlights Report has been released by the Canadian Housing and Renewal Association. It was developed through the Indigenous Housing Caucus Day, which takes place annually in conjunction with the CHRA Congress on Housing and Homelessness. A full-day collaborative forum attended by more than 150 delegates from across Canada, Caucus Day 2018 focused on addressing specific gaps in the National Housing Strategy related to housing for First Nation, Métis, and Inuit people living in northern, rural, and urban areas. This final report is for Caucus Day 2018.